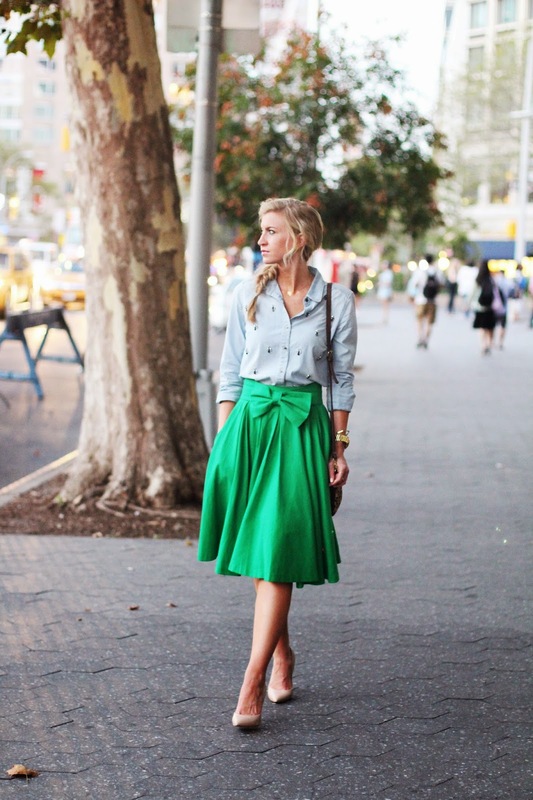 Our Take A Bow skirt in Kelly is probably one of the colors in that skirt that I wear the most. 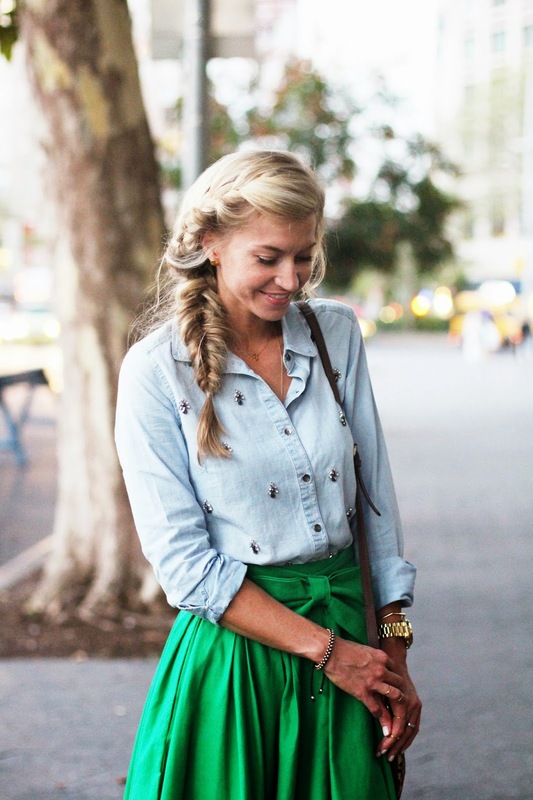 And that green with chambray is my favorite color combination. 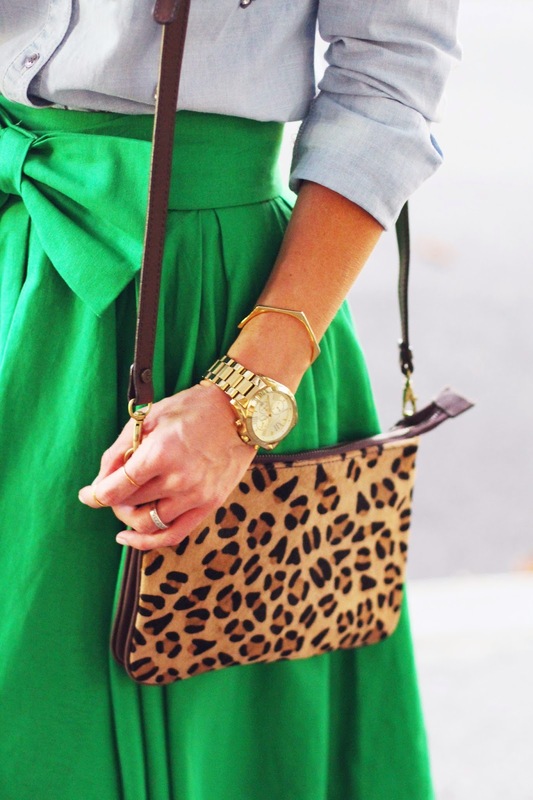 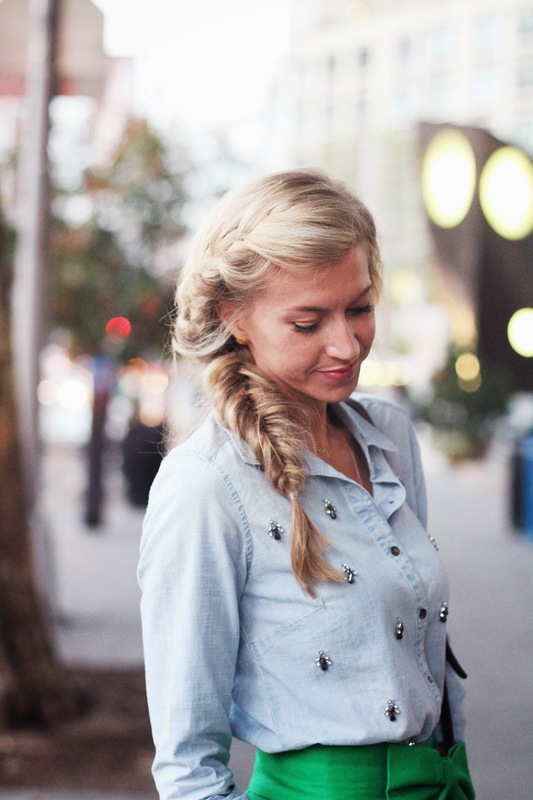 Add it with a bit of leopard, and its pretty much a match made in heaven!